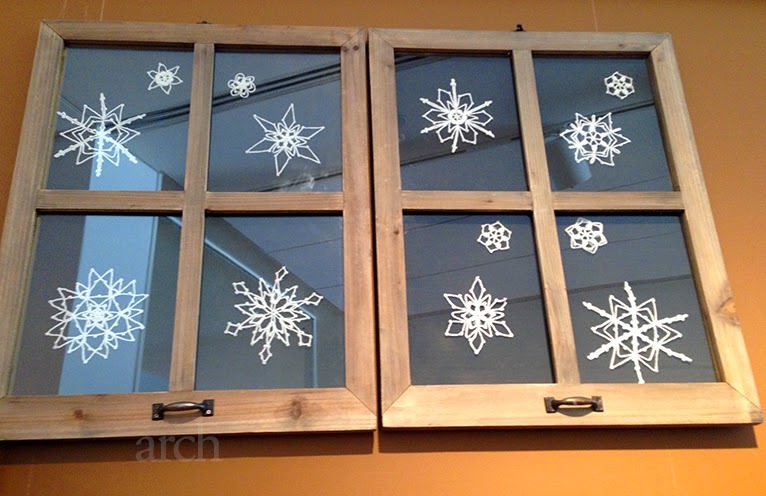 MN Home Feature: Holiday Decor at Home. 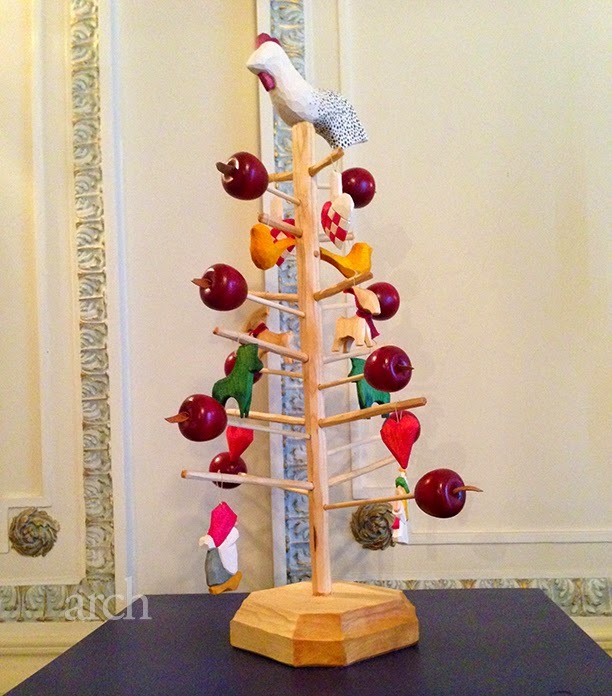 With just a week left for Christmas, the festive mood is on the ascend. 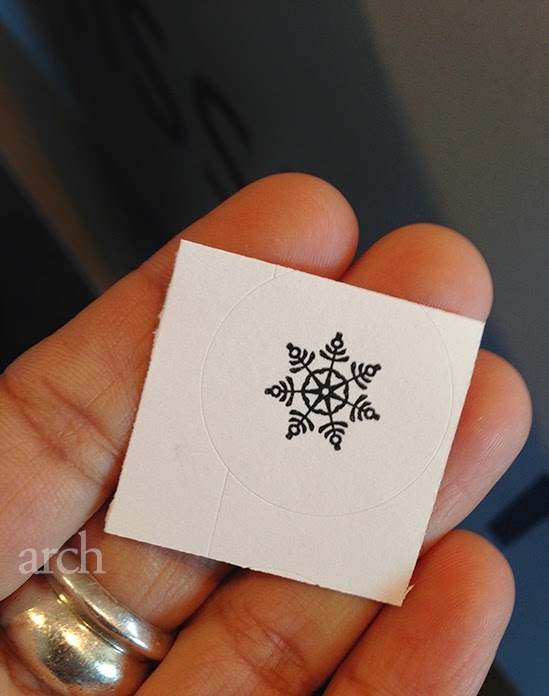 Yesterday's snow showers have got our hopes up for a white christmas. Last two Christmas' we were away from home, travelling, visiting new places. 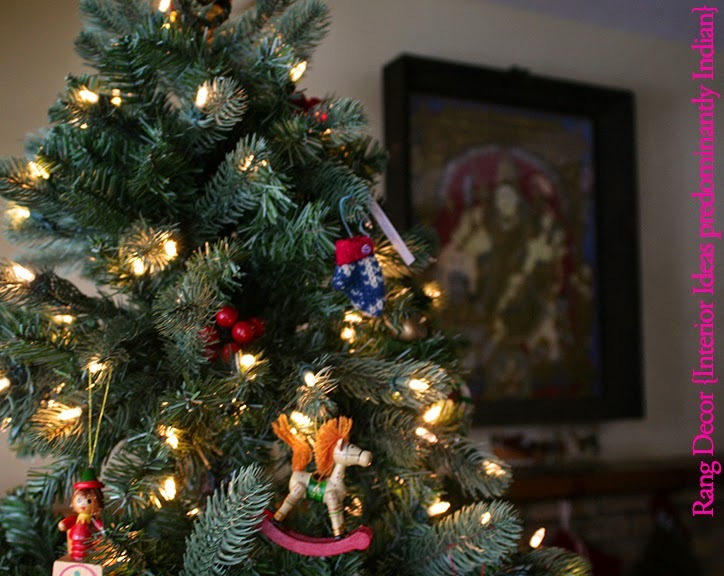 This year we are enjoying the holidays at home here in Minnesota and hence I have had the time to put things together in our home that brings holiday cheer and festivity. 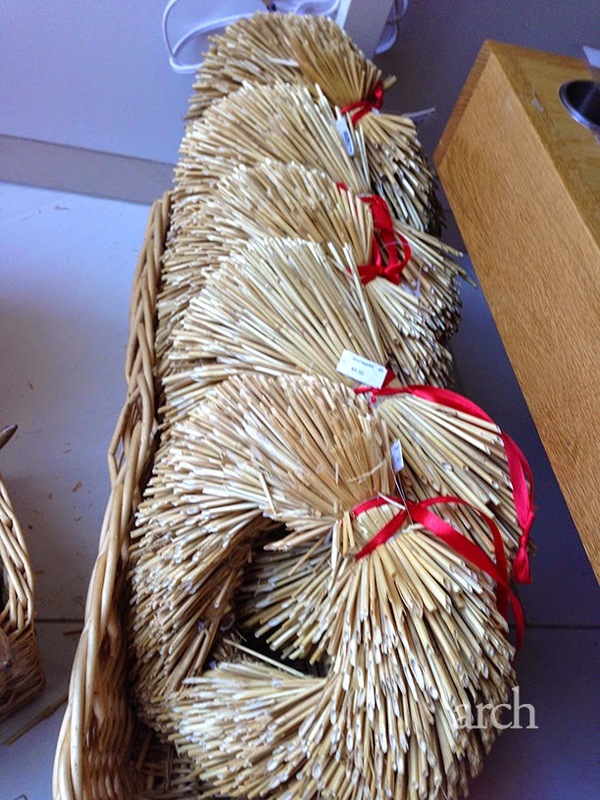 The stores are buzzing with a mind-boogling array of holiday decorations, ornaments, wreaths and what-nots. 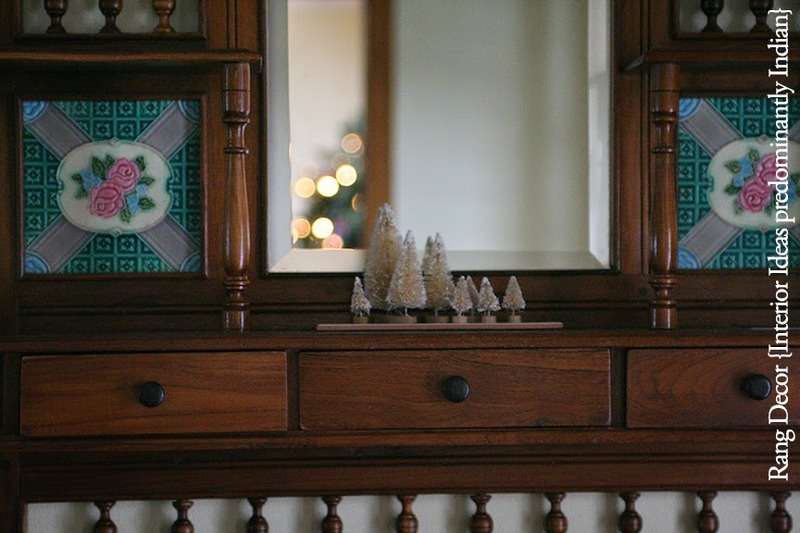 Miniature Christmas trees grouped together at the entryway mirror. 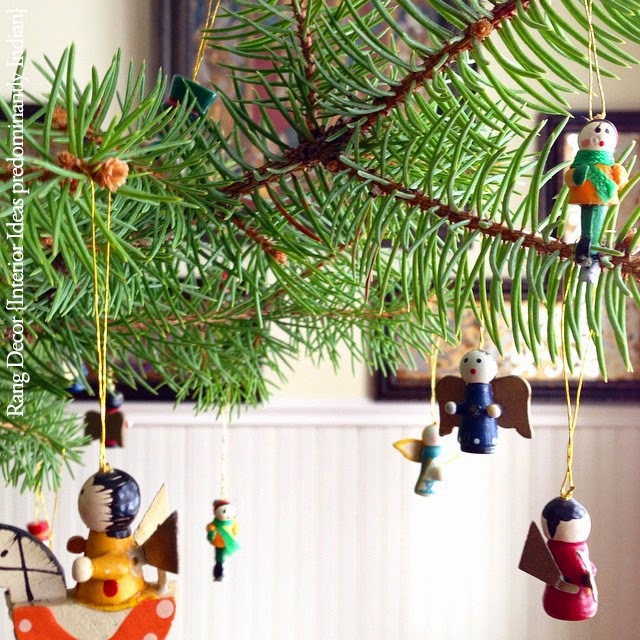 As for me I am drawn to vintage, hand-crafted and simple one of a kind decorations. I love picking up things that have a special meaning to me and my family. We live in a place where we are covered in snow almost six months of the year. White trees are special. 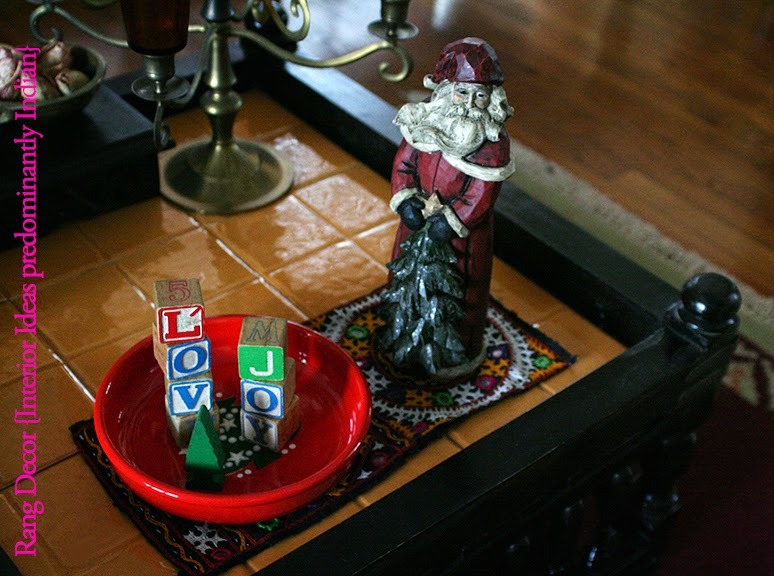 I like to spread the holiday spirit through our home and not just to one room. 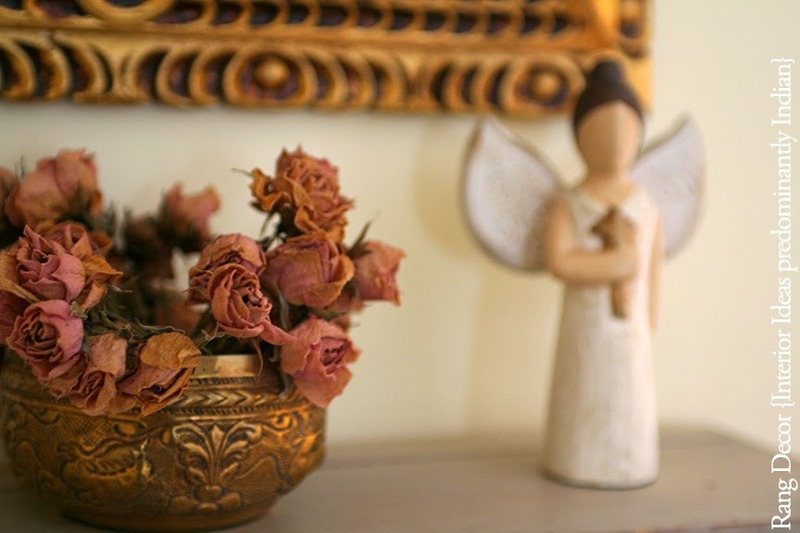 Our guardian angel spreads her rosy glow in one corner. 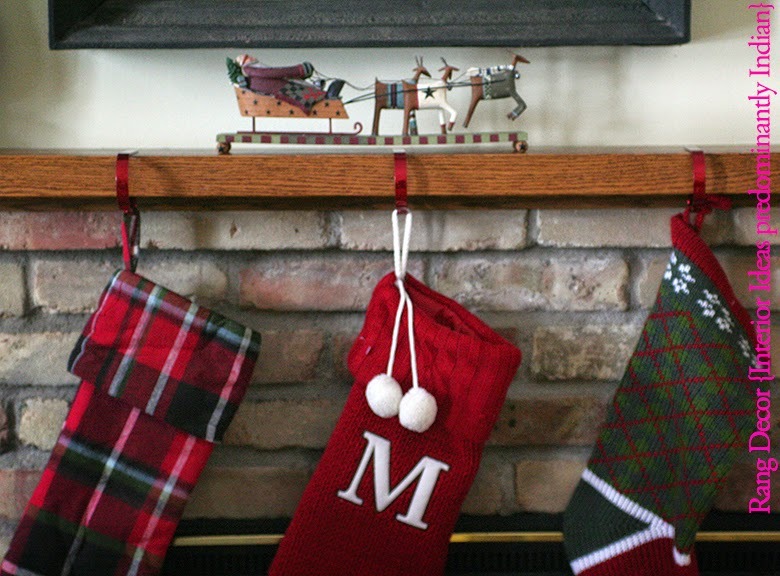 Our 1968 built home has a beautiful exposed brick fireplace, which is a perfect backdrop for our family stockings. 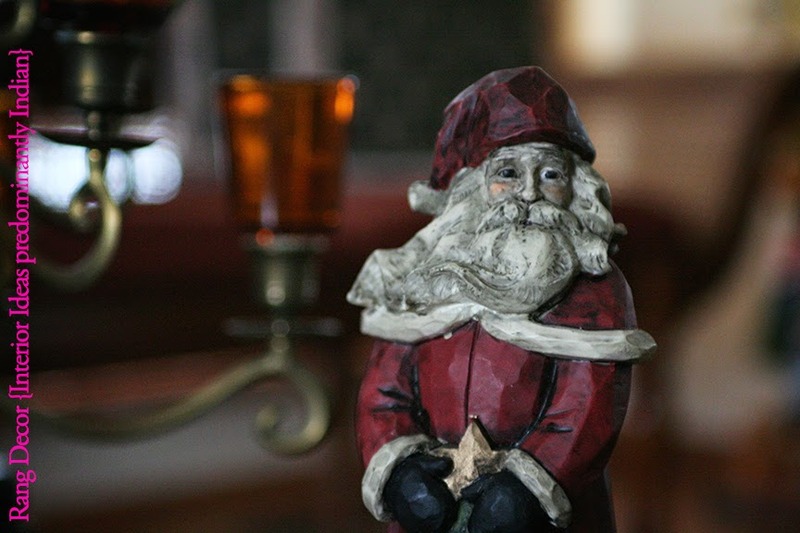 Mr. Vintage Santa was a lovely find from The Cottage House. 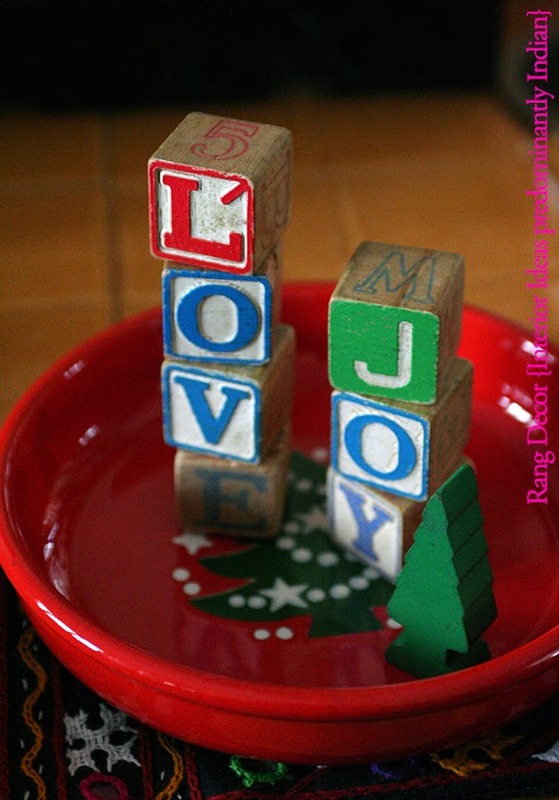 Wooden blocks can convey so many happy emotions. Holiday decor on our centre table. 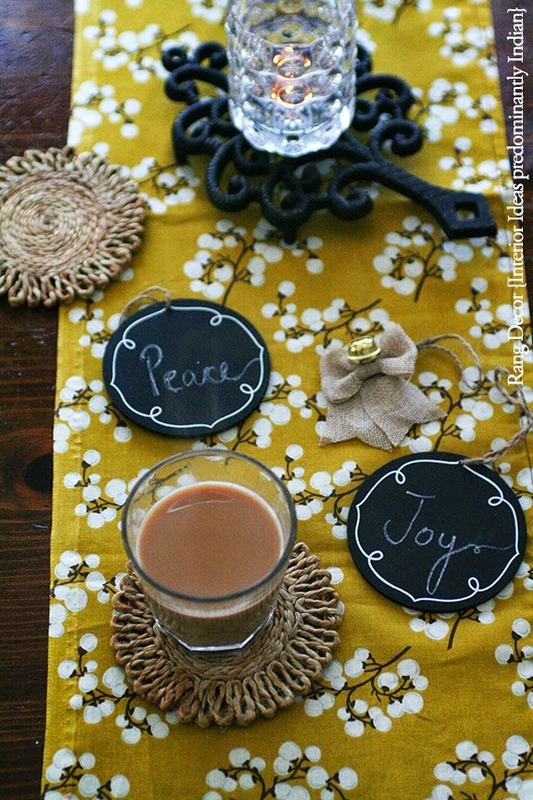 Continuing the holiday decor onto our kitchen table. 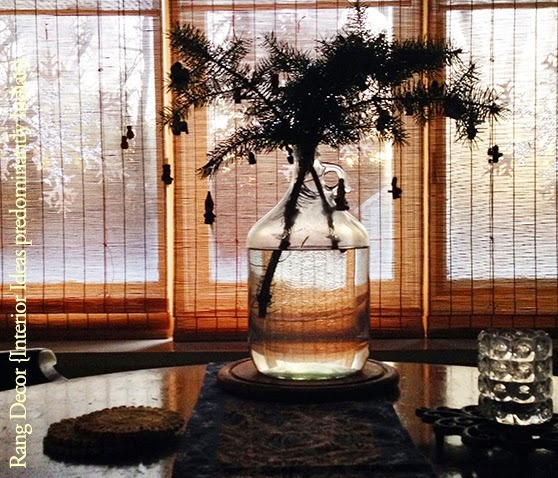 I decided to bring few branches of an evergreen tree, placed it in a glass bottle filled with water and hung some miniature wooden ornaments on it. 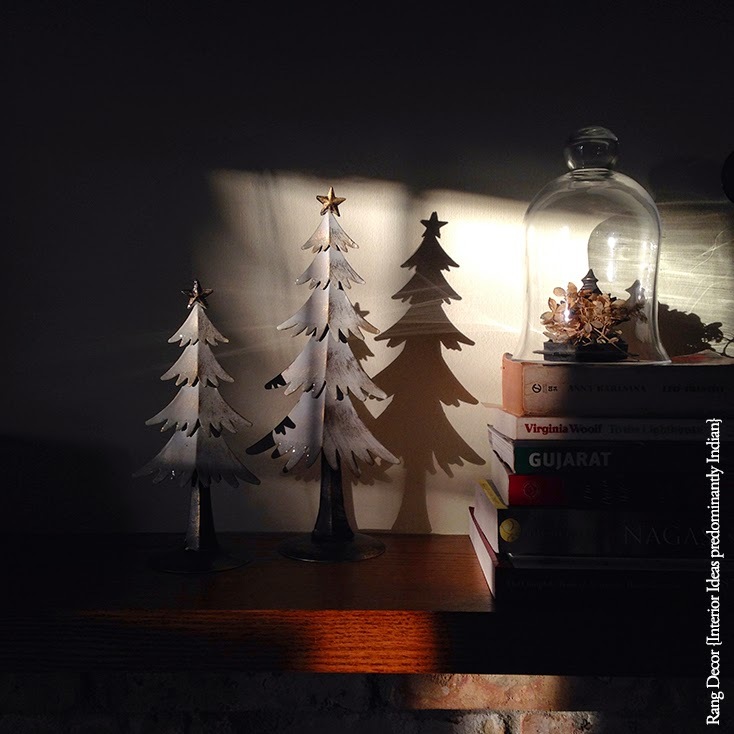 Silhouette of the miniature Christmas tree on the kitchen table with winter morning light filtering through. 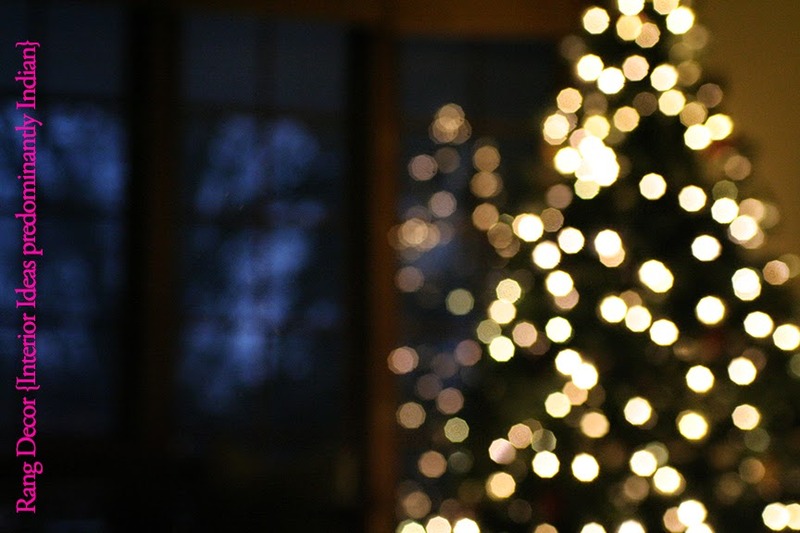 Moments of happiness derived from such frames forms a large part of the holiday spirit. 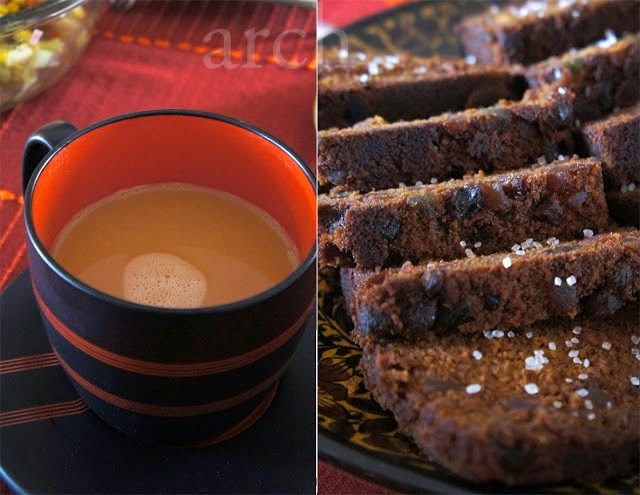 Sitting on the table planning recipes for cookie parties with large mug of masala chai by my side or lighting twinkling candles at dusk everyday when the sky turns a deep shade of cerulean blue. 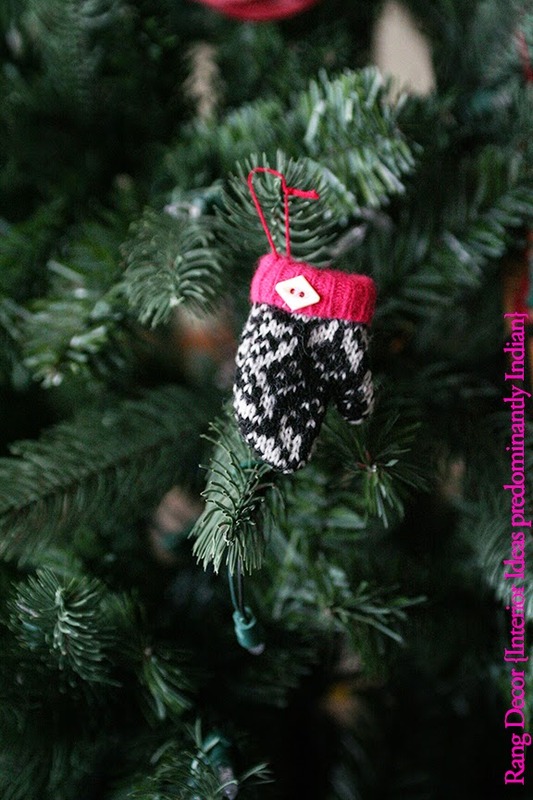 A vintage handcrafted mitten ornament for our christmas tree from the holiday market. 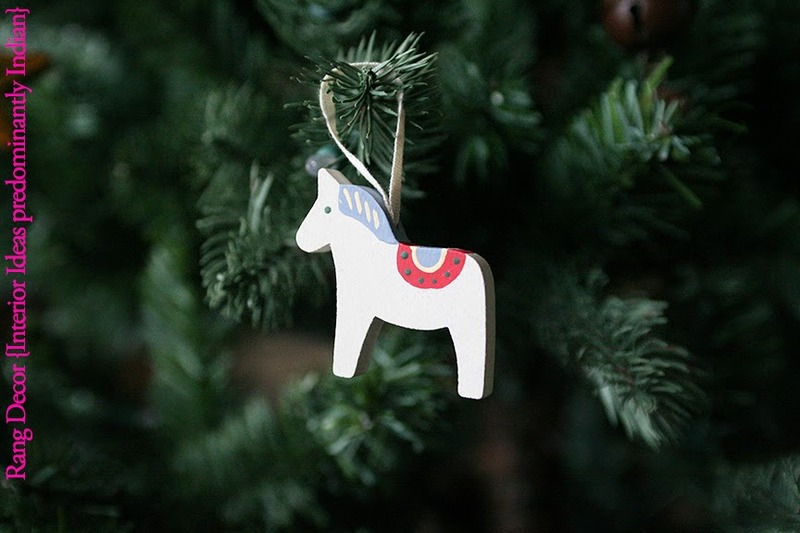 A Swedish Dala horse ornament from American Swedish Institute holiday market. 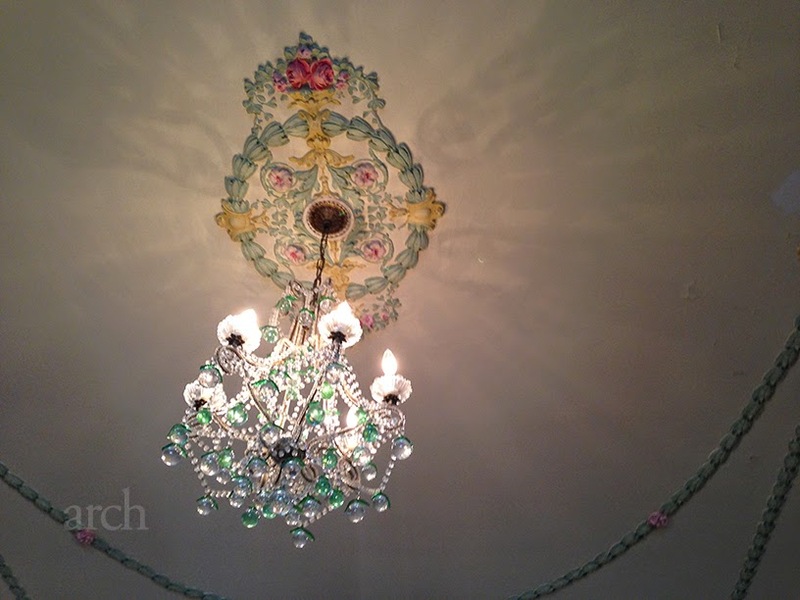 Add your own style to decorating, change the bedspreads to red, white or gold. 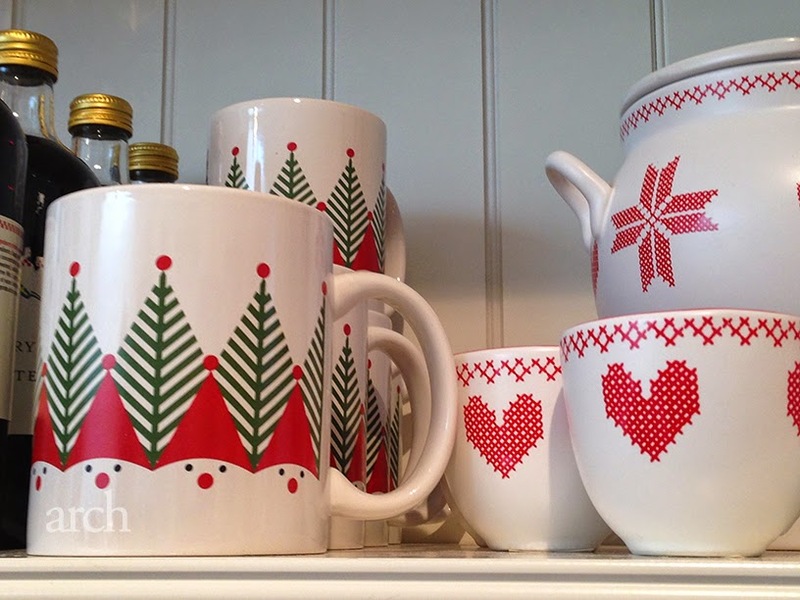 A fresh dishtowel with holiday prints or even a simple star on the shelf can bring in the holiday spirit. 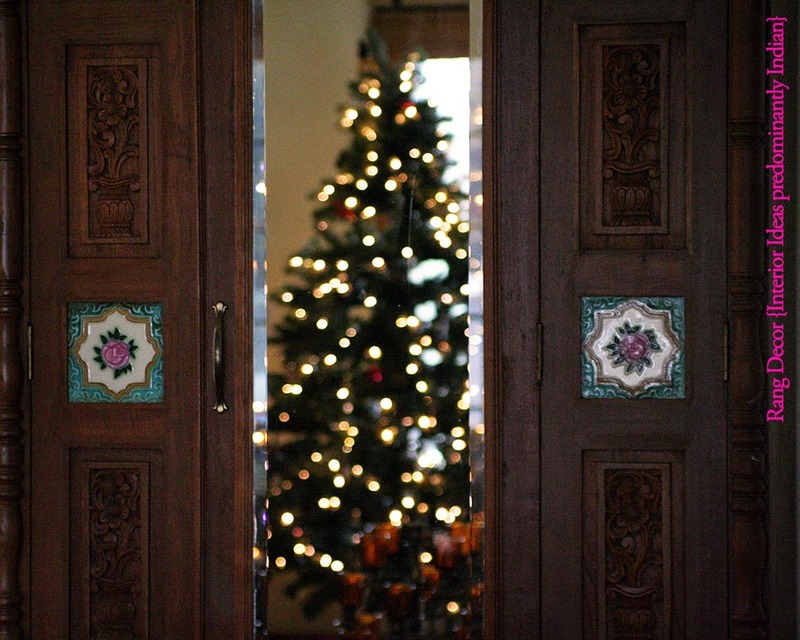 Our christmas tree shimmers adorning vintage and hand-crafted ornaments. A season to reflect on the year gone by, a deep sense of gratitude for all the good that happened this year, of all the accomplished tasks, life lessons learnt, of first snowflakes softly falling to the ground, a prayer for peace in the world, more appreciation for family and friends who touch our lives in so many ways and to be a better person. The glittering lights at dusk always brings a sense of calm. Reflection of the christmas lights on the mirror. 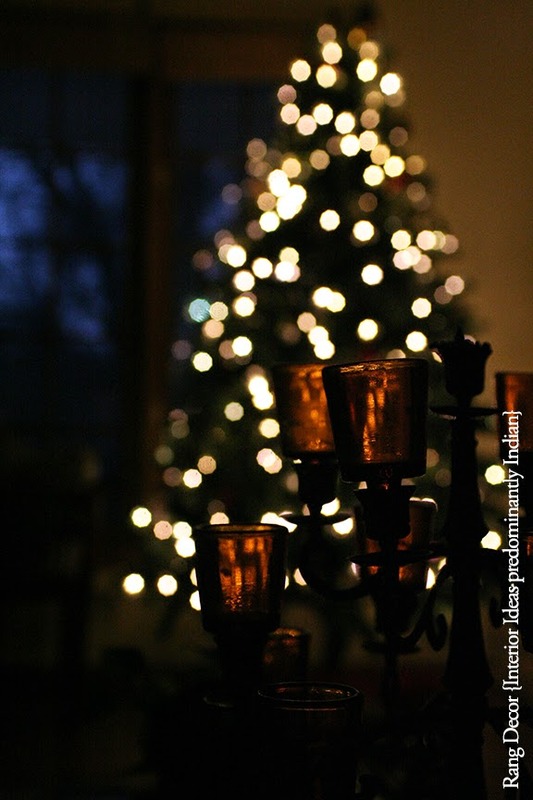 Wishing all lovely readers of Rang Decor a very merry Christmas & Happy New Year. May each one of us find the strength to make a difference in this world of ours in our own way. 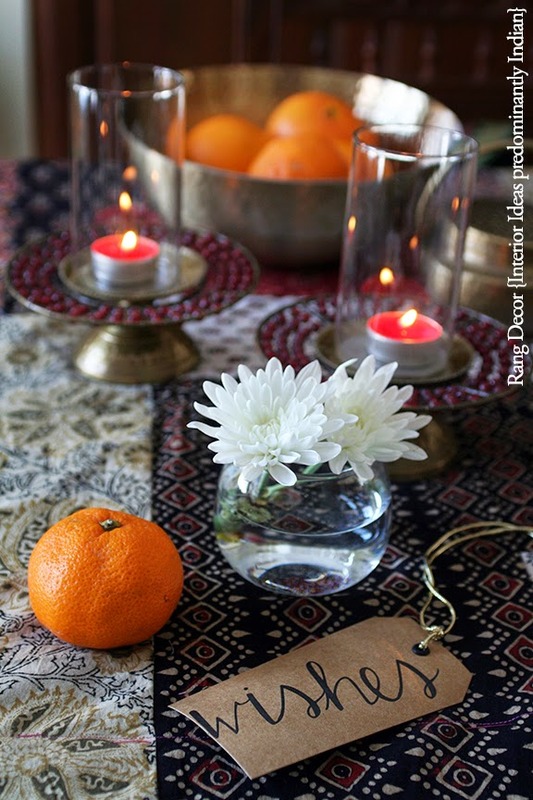 Citrus season wishes from my home to yours! 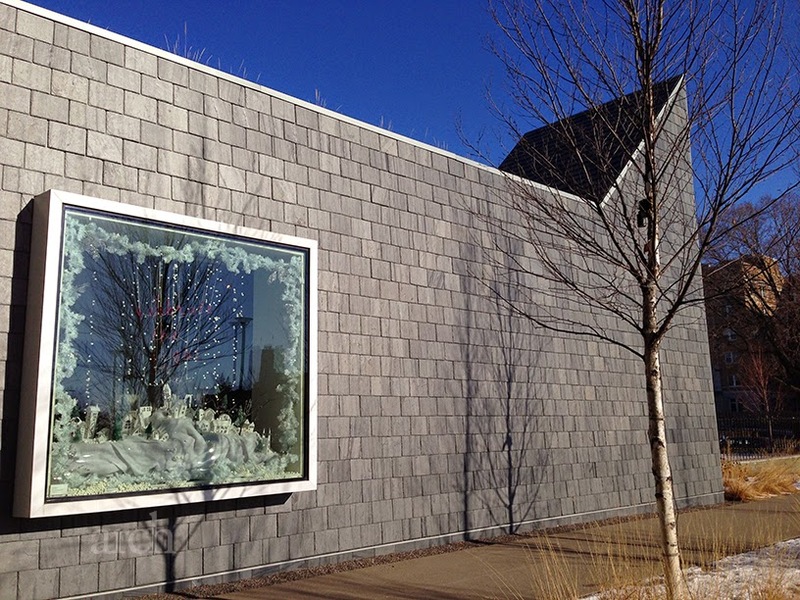 A Nordic Christmas | American Swedish Institute | Minneapolis. The delightful holiday season is in full swing here in Minnesota. Twinkling lights outline homes, there are shiny angels and festive wreaths on doors, as you pass homes you catch a glimpse of the festive atmosphere with families sitting cosy near fireplaces and the bright christmas trees. 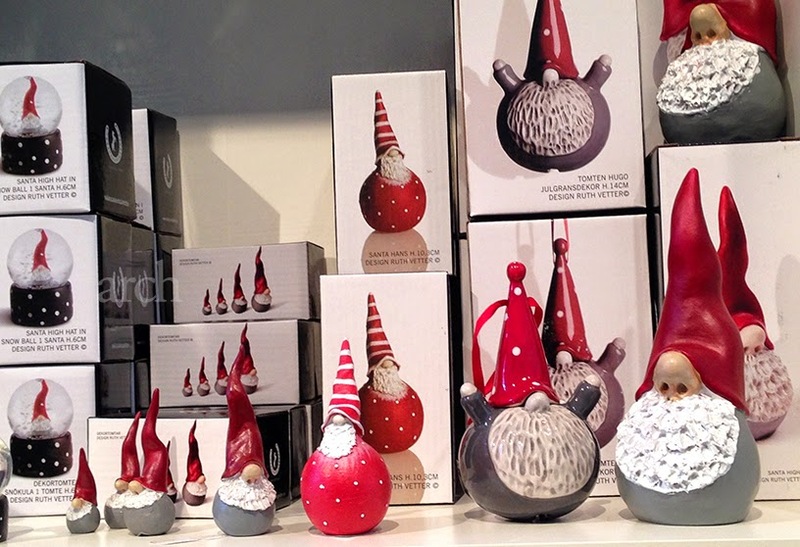 Weekends leading to Christmas are filled with holiday markets and events. 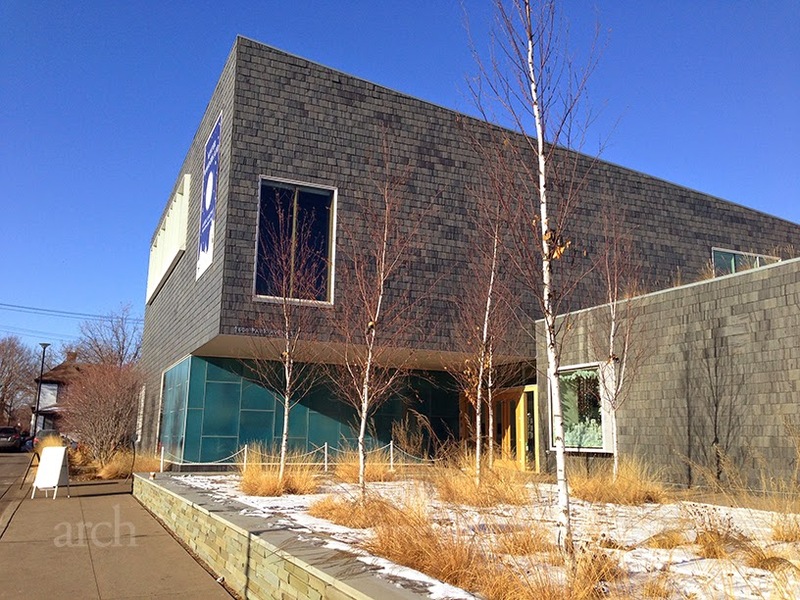 Minnesota has a large Scandinavian population and I have always admired their design style characterised by simplicity, minimalism and functionality. 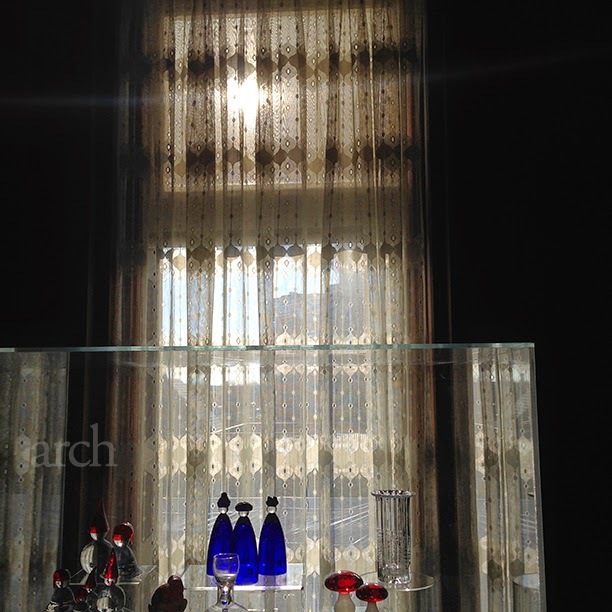 It was a bright sunny day with a thin blanket of snow. 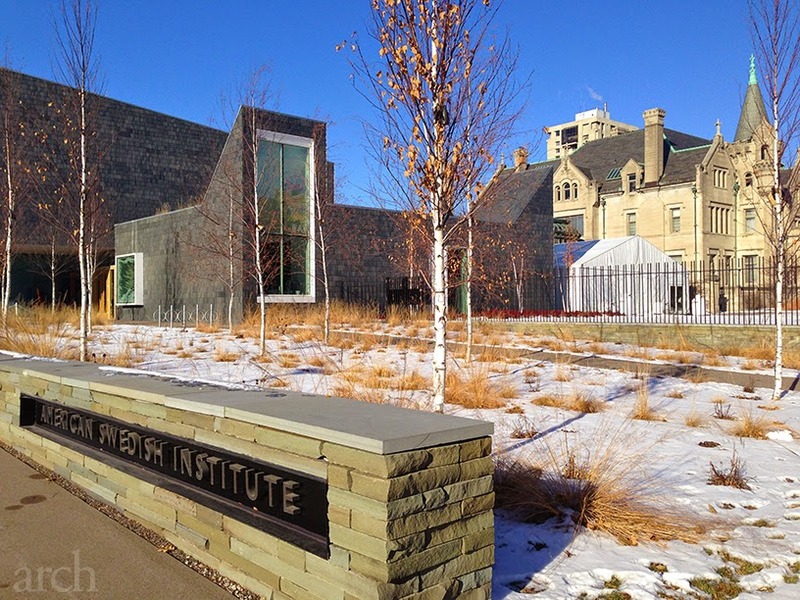 The exterior of American Swedish Institute. 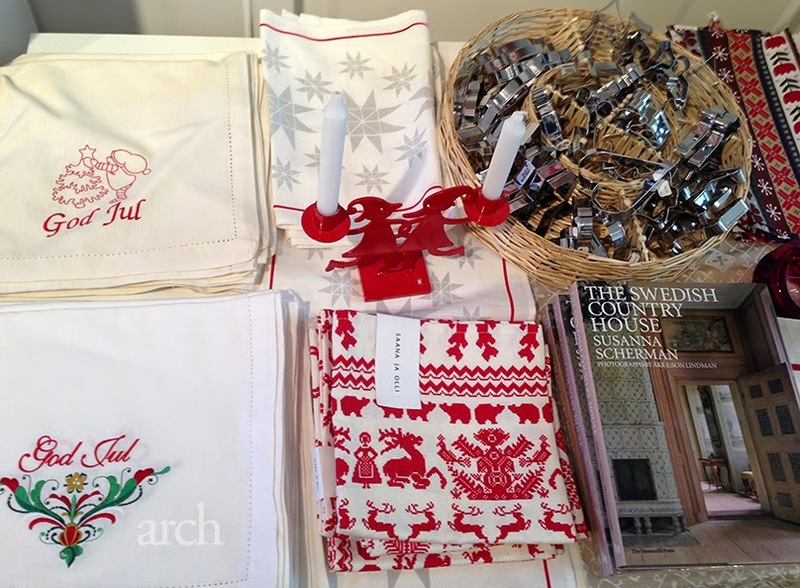 The Institute was bustling with festive fervour as people walked around trying to pick up one of a kind Swedish holiday gifts. 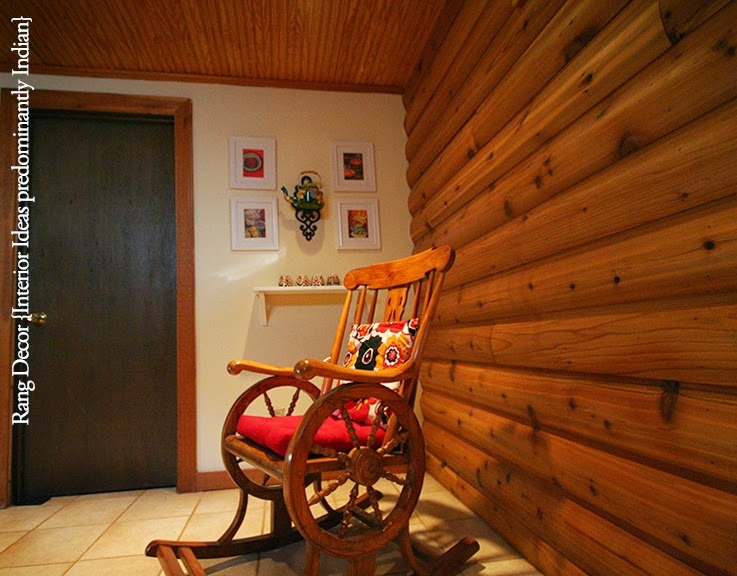 The aroma of Glogg permeated the high hallway. 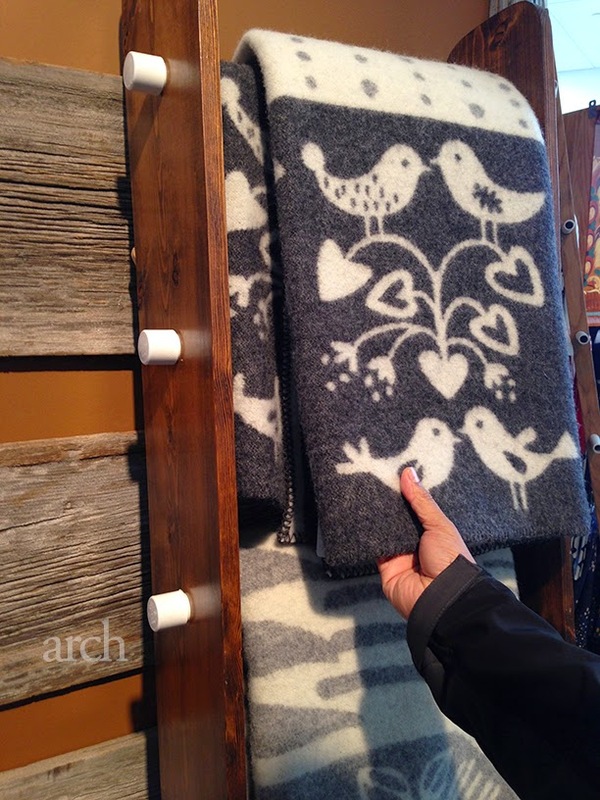 With the snowflake sticker stuck firmly to our jackets we made our way into rooms filled with wonderful handcrafted and unique gift items. 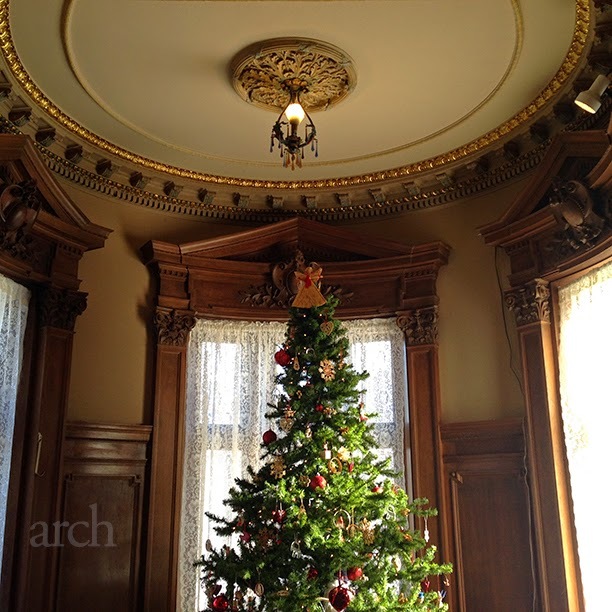 Loved the simplicity of the tree. 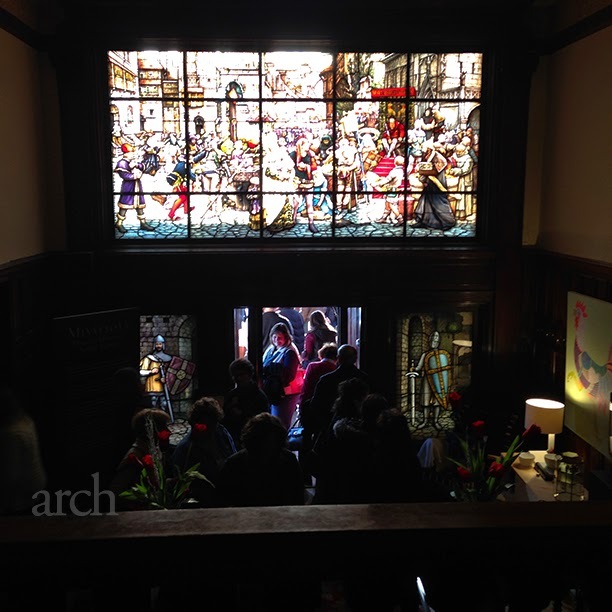 With Christmas music filling the building we wandered into rooms of the Turnblad Mansion with winter light filtering in through stain glass paintings and lace curtains. You bet we were entering the Winter Wonderland! 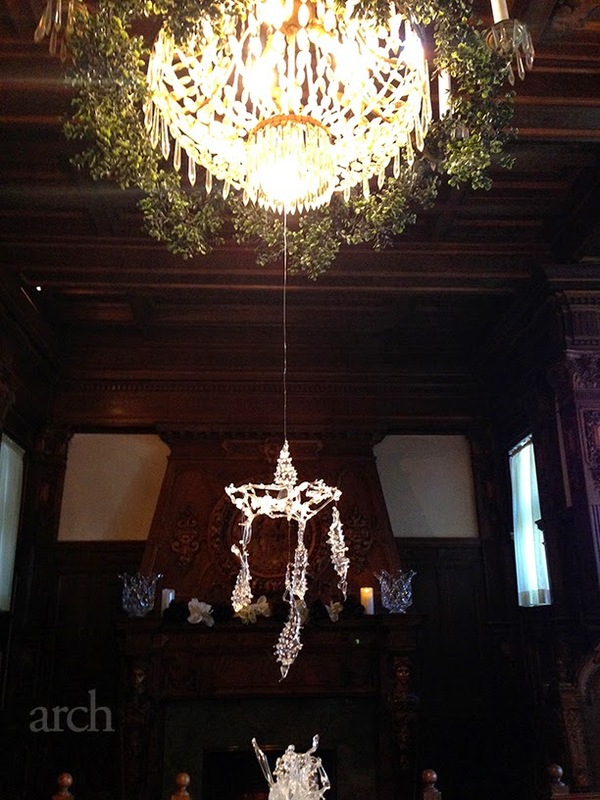 During the holiday season the rooms of the Turnblad Mansion are decorated in the different styles of Scandinavian countries. 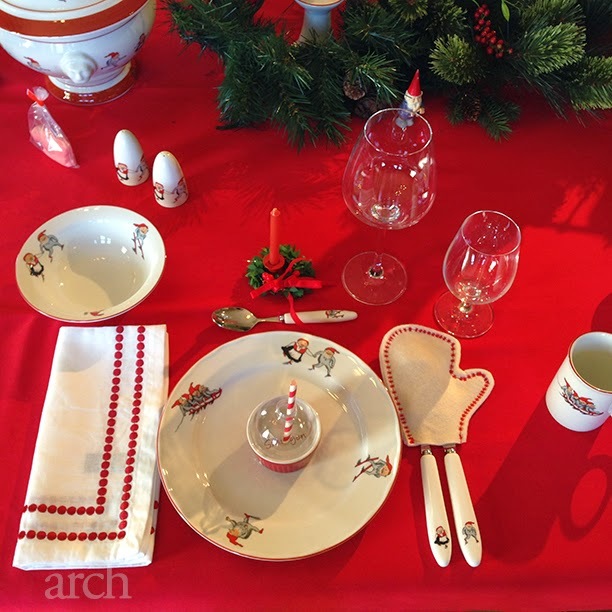 Each room had a table which displayed a holiday table setting depicting each of the Scandinavian countries and their quintessential style. 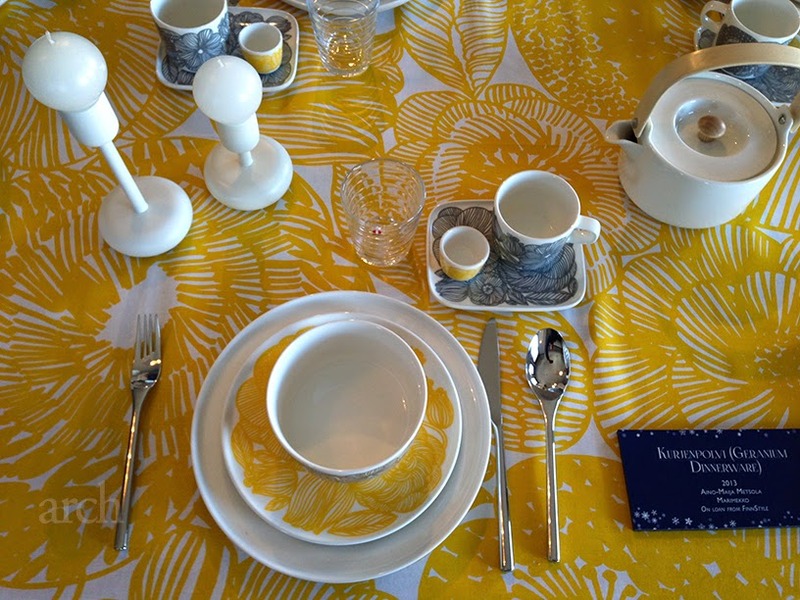 A bright yellow and black pattern table setting from Finland. 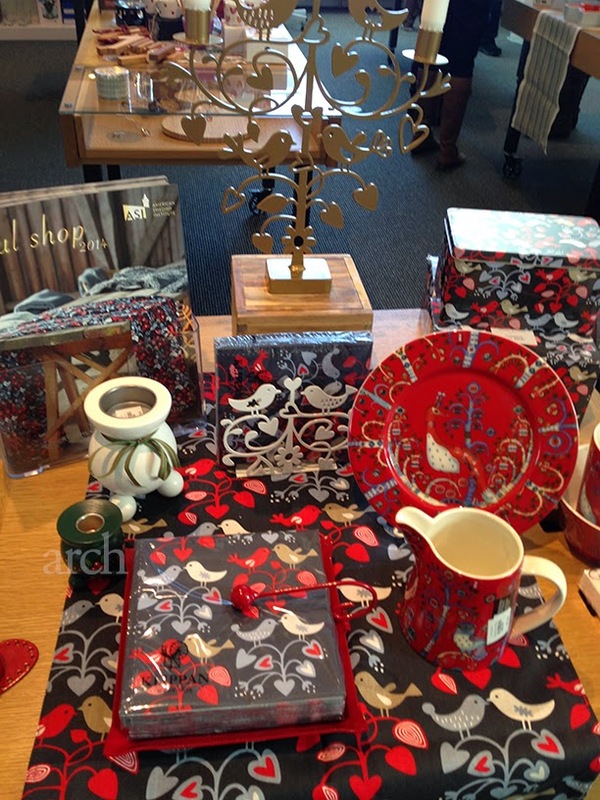 Vibrant red and white combination with elements of nature from Denmark. 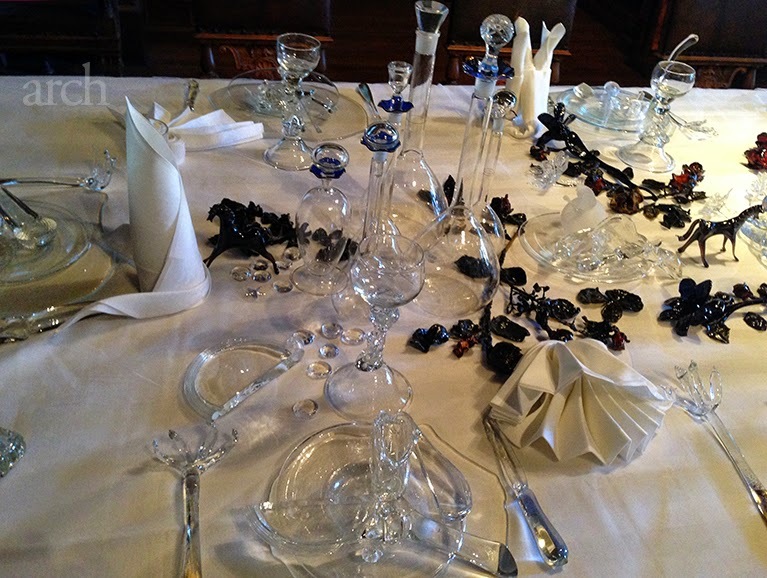 Loads of glass and black elements in Swedish table-setting. 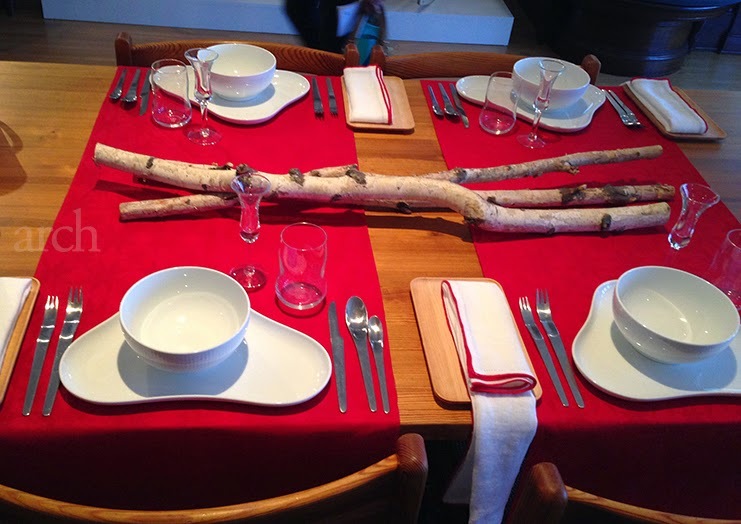 A traditional Norwegian Christmas table-setting. 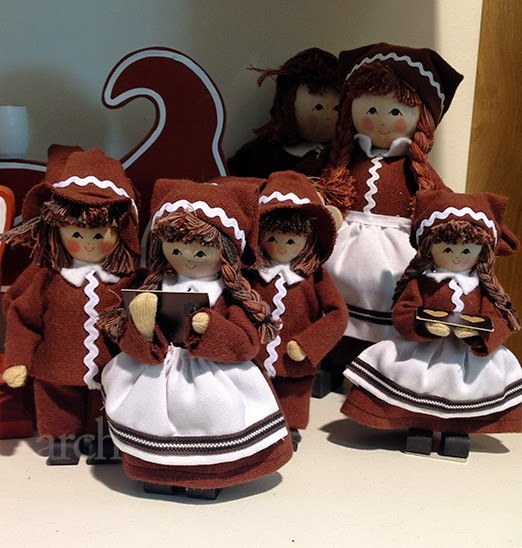 To experience the traditions of the Scandinavian countries all in one place in Minnesota was a very enriching and lovely experience. A lovely holiday tradition. 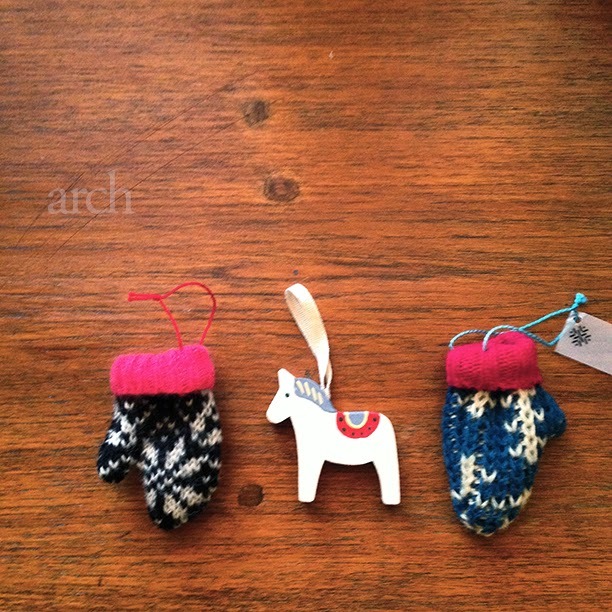 We came home with a Swedish Dala Horse and these miniature vintage mitten ornaments by Steller Handcrafted Goods. Stay tuned another Christmas post coming up soon! 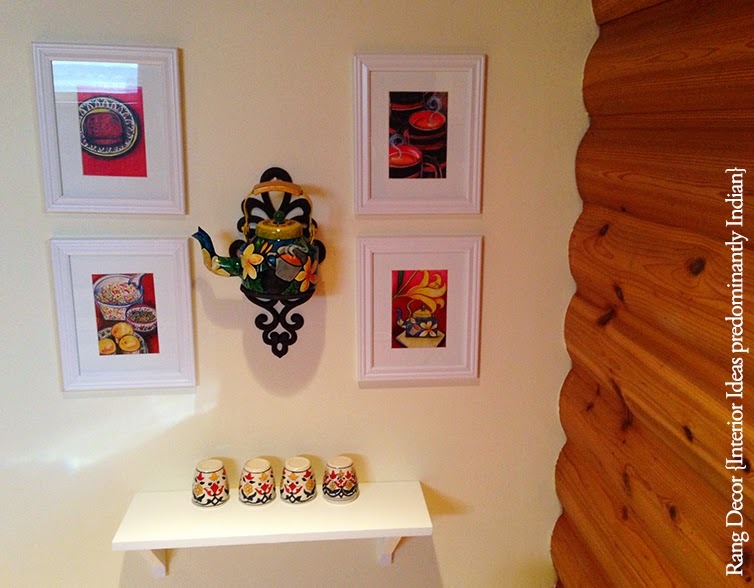 MN Home Feature: Framed memories. 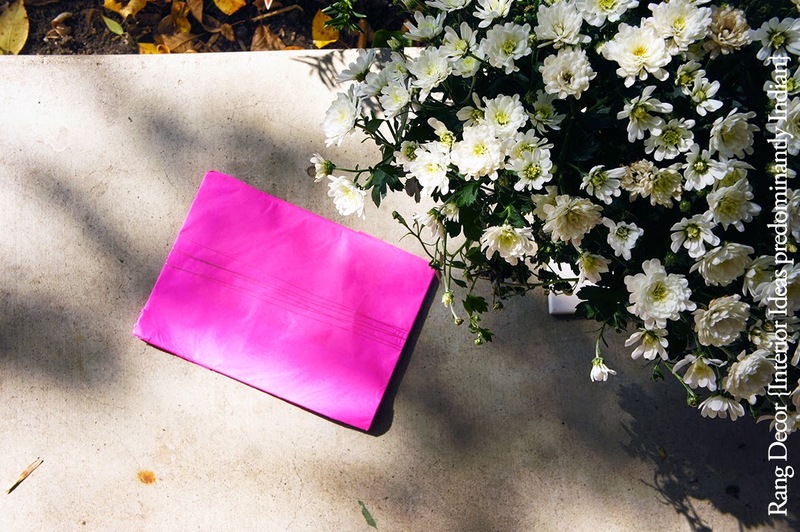 A guessing game ensued on my facebook page after I posted the photograph of this hot pink package that came from India last fall. 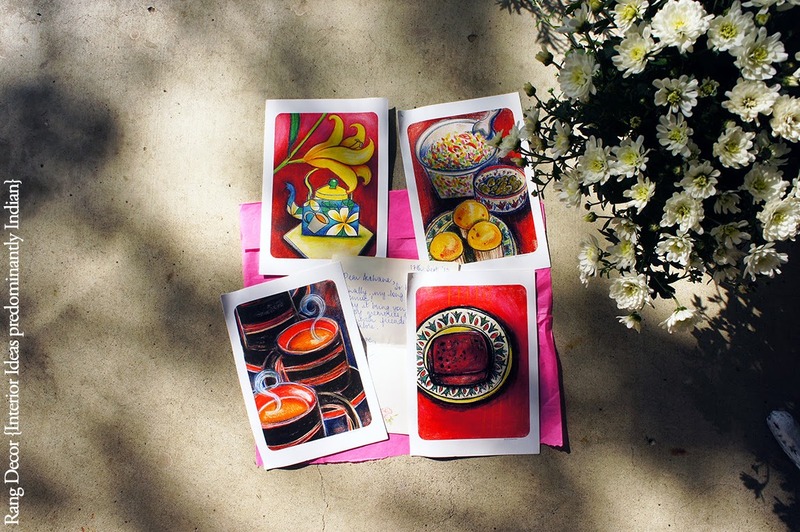 Do Rang Decor readers remember the 'A tea party for three...' post about the creative get-together with the super-talented artists Aarohi Singh & Priya Sebastian before I left Bangalore in 2012. 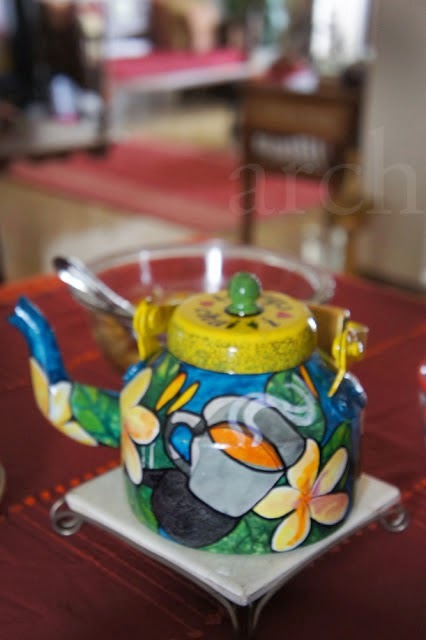 Aarohi Singh gifted me her signature tea kettle with my favourite Frangipani flowers and Chai painted on it. 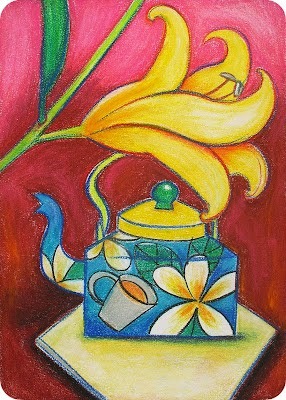 Priya Sebastian brought me the most beautiful yellow Liliums that day and she being the amazing illustrator that she is, she went ahead and illustrated the tea party in her bold artistic style! 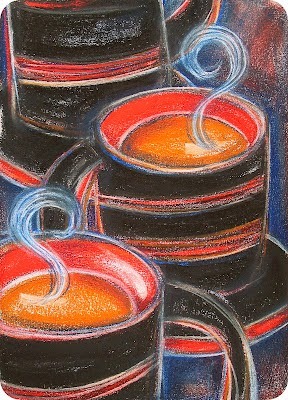 I was blown away by this artistic rendition of our tea party. 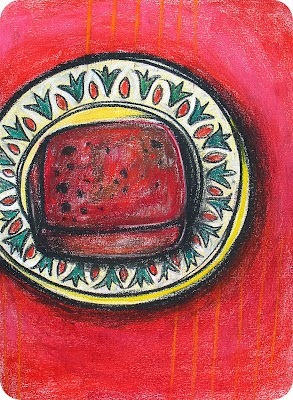 I wanted her work along with Aarohi's kettle to be part of our home here in Minnesota. 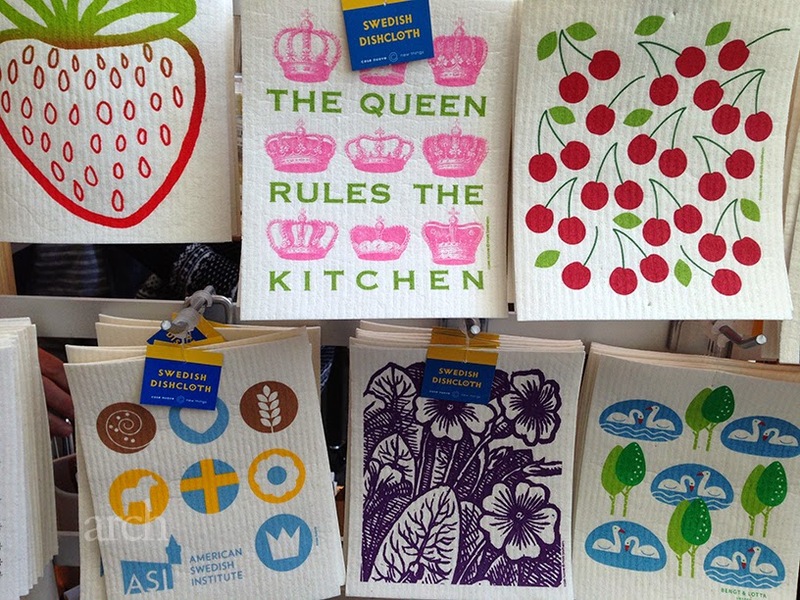 So wrapped in her signature colour of hot pink paper came four vibrant prints of the illustrations of the tea party. 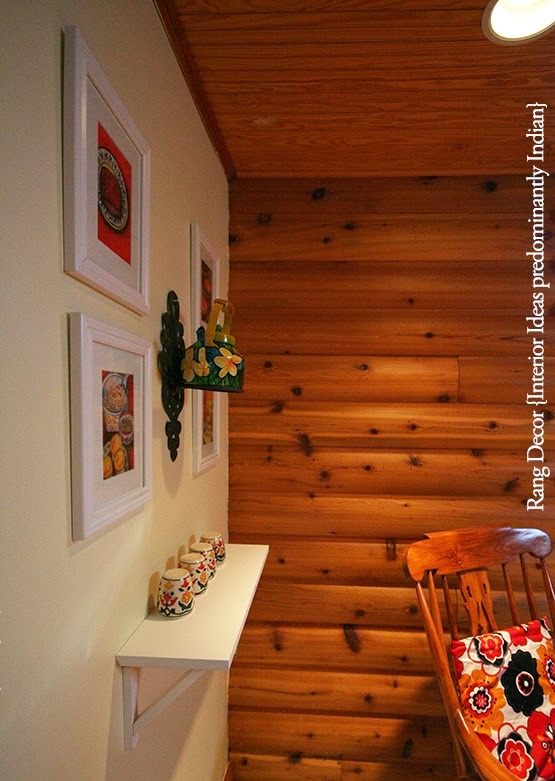 A cosy corner in our Minnesota home is now a space that displays framed memories of the beautiful afternoon spent with friends. 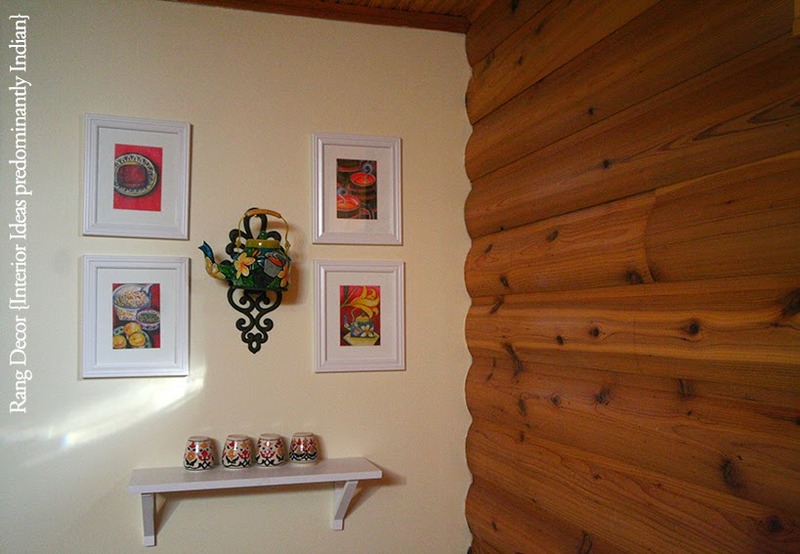 The work of two artists I admire forms a lovely composition on this wall. 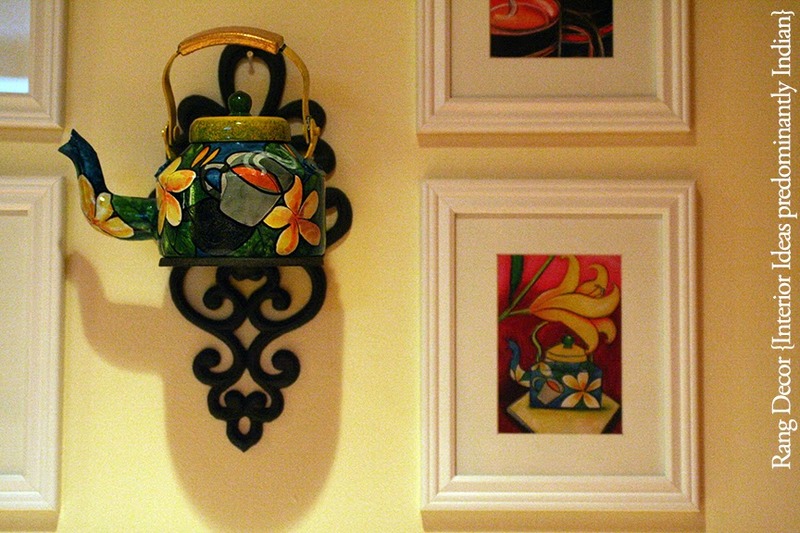 Side view of the paintings and a vintage cast iron holder for the kettle. Thank you Aarohi & Priya. 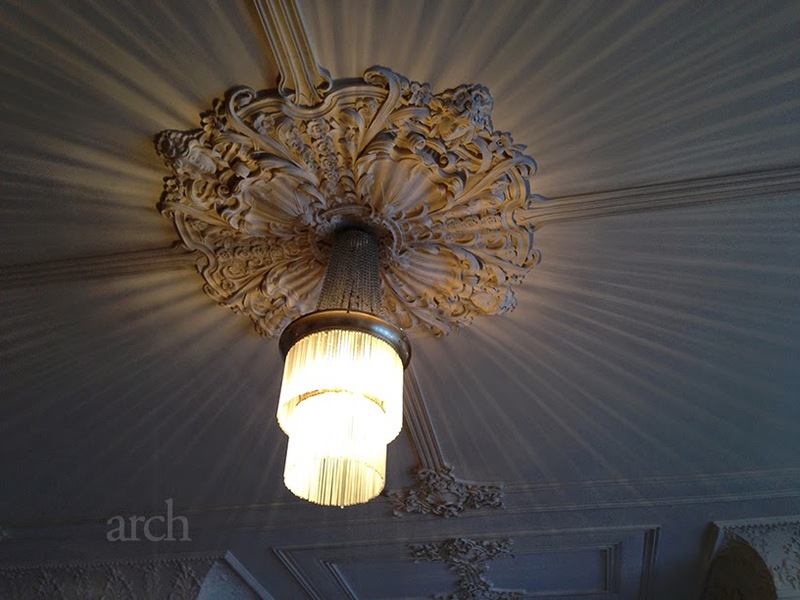 Your art is a blessing and is deeply appreciated in our humble abode.